Technology is a wonderful thing, isn’t it? And just think about how far we’ve gone in this department in the last 30 years or so… not to mention how new technological developments seem to take place increasingly faster! We find it safe to assume that – provided the EOTWAWKI (end of the world as we know it) does not occur in the next thirty years – we will likely get a chance to handle some *really* exciting technology, by the year 2041. Top Gadgets we hope to see before kicking the bucket. This will be the iPad of the future, of course. We’ve already seen the first steps in terms of auto-stereoscopic technology, so it shouldn’t be too unreasonable to hope for fully functioning holograms within three decades, right? By then, tablet computers will gain a new dimension as they are able to project images right out from the screen for anyone to meddle with. You will get to watch holographic pictures and video, traverse websites in a way that will make the Minority Report look antique, and… just imagine how awesome FaceTime will be, and how many Star Wars jokes will be just waiting to happen. Sure, the current slew of e-readers is pretty cool, but just imagine how it awesome these devices will get when e-ink technology isn’t as expensive. 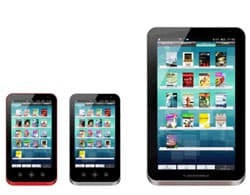 By then, e-book reading devices will just like a real book that you can leaf through…. except, you will be able to populate the content of all pages at the click of a button. There will be no need for an integrated keyboard either; you will just have to scribble down your thoughts on e-paper and they’ll get instantly OCR’d into the documents. As extra bonus, they will even kind of smell like an actual book used to …. back when trees still weren’t endangered species. As personal computers keep getting smaller and more powerful, it’s only a matter of time until they get so compact that you will actually get to carry around your full-power workstation in something as discreet (and fashionable) as a bracelet. And since electronic paper will be widespread by then (and hopefully more suitable for video than at time of writing), lugging around a screen would be pointless, since there will be no shortage of devices you can sync your bracelet PC with to display pictures through. Not to mention it will probably be able to broadcast pictures via wireless to your retina! In the future, phones will become obsolete. Because eventually, tele-portation devices will see the light of day, and everything will change. And hopefully no scientists will have to get merged with a Fly to bring about such advancements. The transportation industries will be drastically changed, when you can zap yourself across the world at the flick of a button of your trusted portalphone. After all… speaking to people remotely through a screen is so… early XXI century, you know? Since we’re going all out with these predictions, why not propose a device that allows anyone to upload their consciousness on-line? Granted, having a living and breathing body is surely an amazing experience, but should we peacefully succumb to death just because our bodies come with an expiration date? Not when a technology finally appears which provides a way to link all of our individuality to digital support! When the shell is eventually crumbled, all that remains will be able to float around the cyberspace quite leisurely, and keep dreaming of an even crazier future! Do you agree with these predictions? Do you believe that we’ve been reading one too many science fiction novels? Can you think of imaginary gadgets even cooler than those we mentioned? If so, don’t hesitate to share your thoughts by using the comments box down below. This article is written by Mercen. He writes for “Computer Too Slow” website. If you wish to write for us, kindly check this. It's not about the words: it's how you put them together. Except the last one.. all others may be possible in future… I would go with the limit of 2050!! I guess it’s good to dream, 2041 seems like a really long way off, who knows, maybe we’ll have space travel by then. Really looking forward to a product like the Ihologram. How cool should that be in the future. But also a little bit weird, because you've a lot less privacy. Imagine sitting in the train with you Ihologram. It isn't really possible to read the mail of your girlfriend, because the whole train can read along! Once I had a booked named “future” around 10 years back. Now i see all those transforming into reality. what we are hearing would a reality without a doubt. 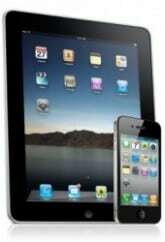 have anyone heard about wireless electricity. LoOkin toward to that a lot!! Day by day the style of technology is being changed. And we may get more amazing gadgets that we didn’t imagine. 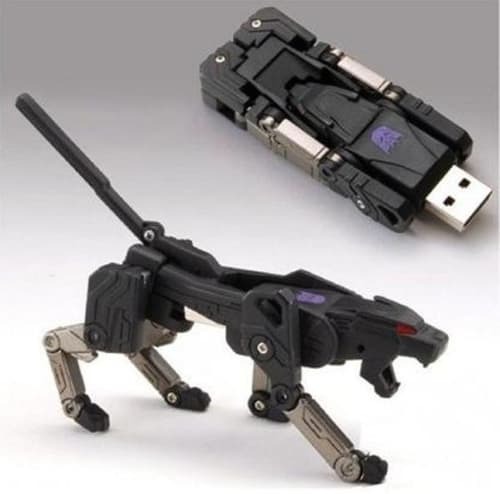 I like that..It looks like the transformers I use to play with..I want one of those. W0h!! I can already see my self teleporting. Technology is booming very fast and I doubt that we can even achieve these things by 2030 as well.